You will spend the night at Las Palmeras hotel close to Otavalo. 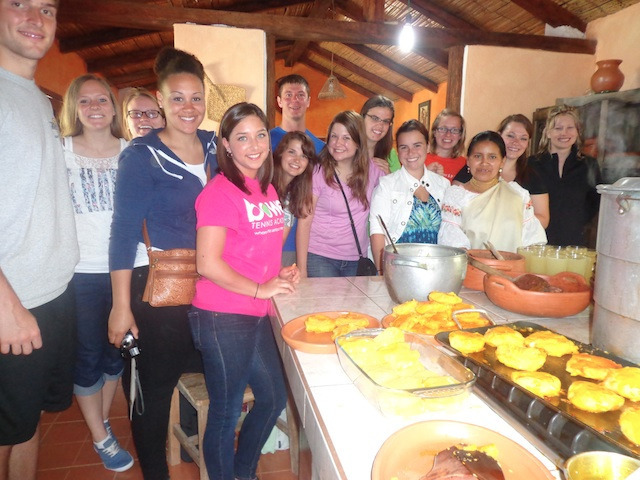 You will meet Claudia, who is from Otavalo to discover the traditional food of the quichuas. You will cook with her a typique dish of the andes, from the special ingredients of the region to the preparation of them and finally you will be able to appreciate your own work. You will take the route towards San Clemente village, south of Ibarra. You can accompany and assist the people of the communities in their work with animals or in the preparation breakfast. 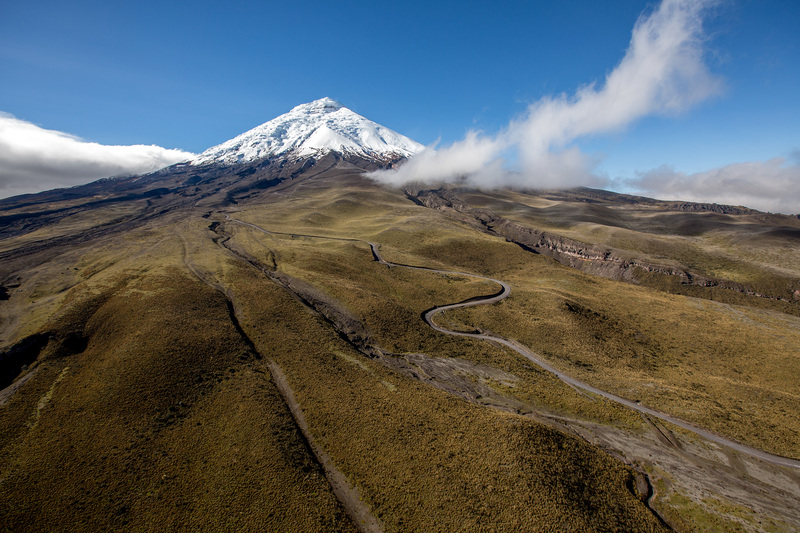 You will spend the night at El Porvenir Hacienda in the Cotopaxi Park. 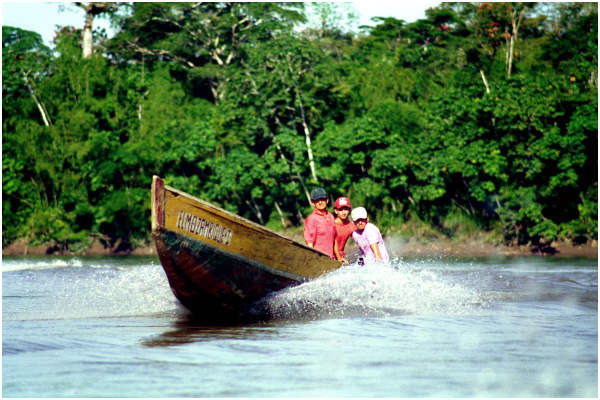 Journey to the Tigua area which specialty is the colored painting on sheep leather representing the Andean life. You will visit one of the craftman in his workshop. At the end of the day, around 5pm, you will go in the cowshed to see the milking. If you want you could participate actively to the activity. Then, with the hot milk, you will go to the kitchen of the farm and make the cheese wth the owner of the house. Journey from the area of Tigua which specialty is the colored painting on sheep leather representing the life in the Andes. 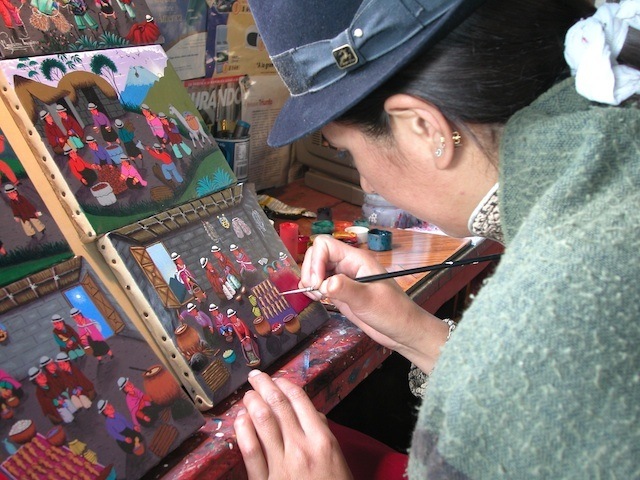 You will visit one of these artists in his workshop and follow to reach Quilotoa laguna. 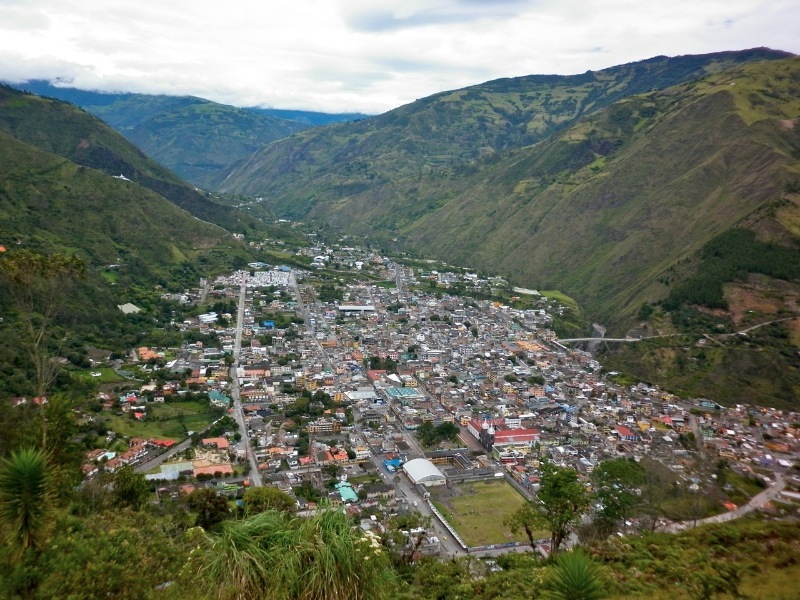 Journey to Banos, a lovely town to wander around or enjoy its baths. 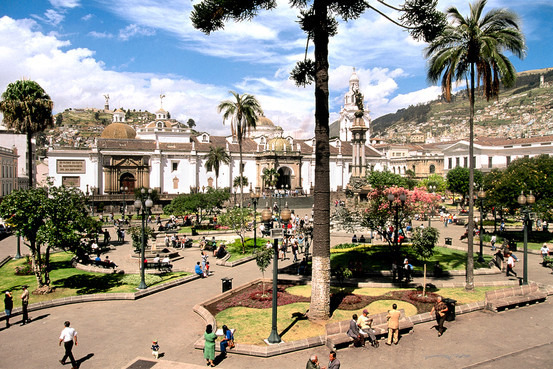 The basilica of "Nuestra Señora de Agua Santa is also worth the visit. 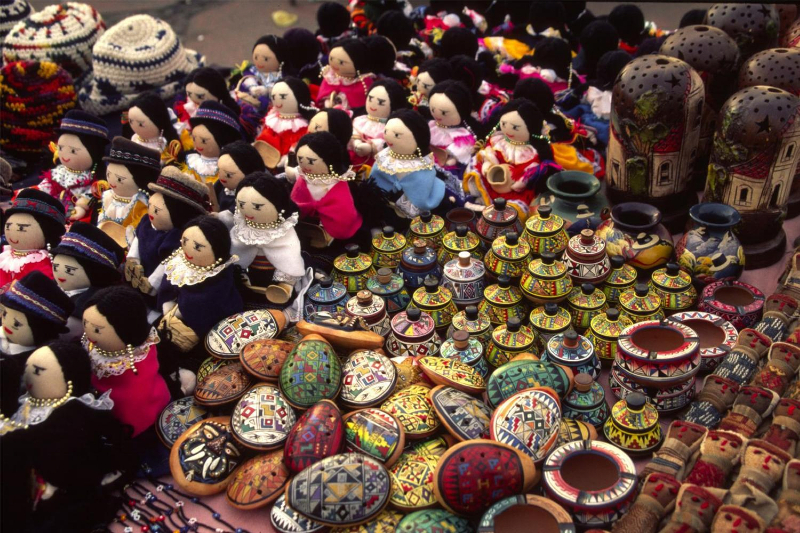 On the way you will stop in Tigua which specialty is the colored painting on sheep leather representing the Andean life. You will spend the night at the Donde Ivan hotel in Baños. Visit of the Casa del Arbol (Tree House) on the heights of Baños. 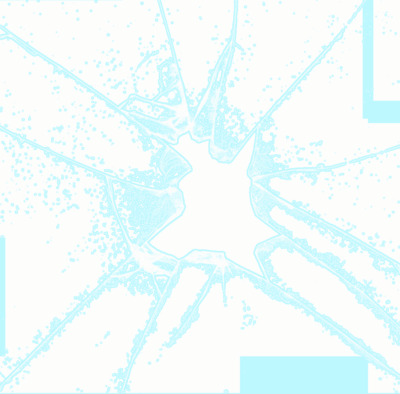 This site is known for its swing over the void. 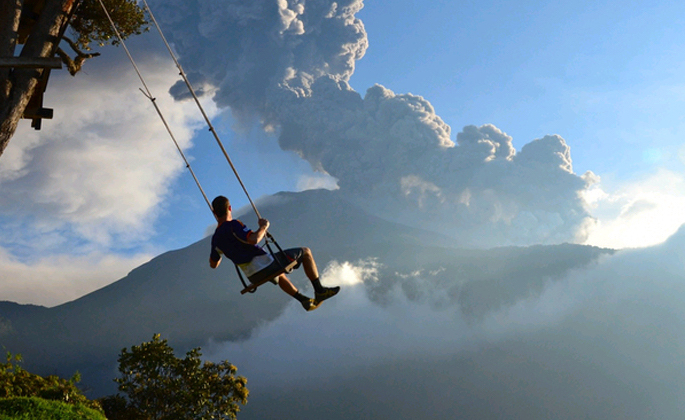 Which makes the delight of youngs, and the kind fright of the dads; it is the place which allows a great moment of exchange and diversion in family and the opportunity to admire a very beautiful landscape, between the volcano Tungurahua, the sight on Baños and the entrance of the Pastaza canyon towards the Amazonia. 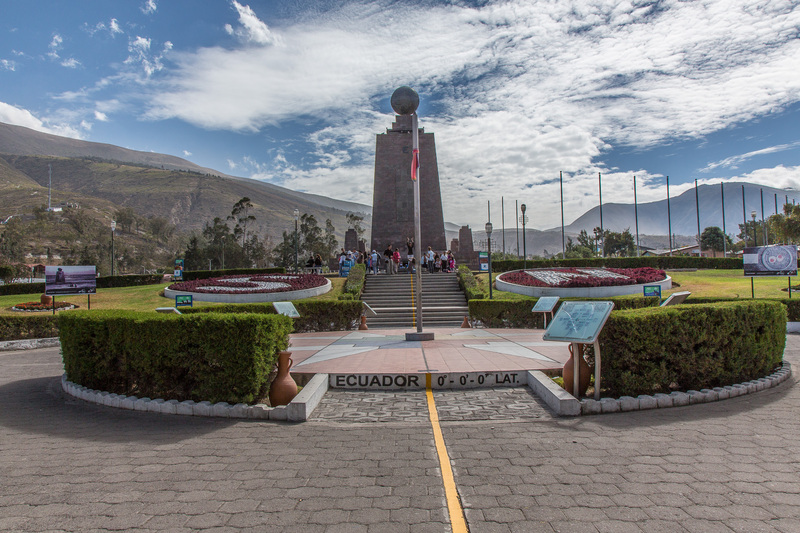 You can also have fun with the small installation of canopy and listen to the presentation on the history of the eruptions made by the guard of the Military Geographical Institute. Level : advanced as it deals with high moutain bicycle with sportive curves. A good physical conditions and reflex are required to manage your speed and your own bike while getting down in these scenic landscapes. 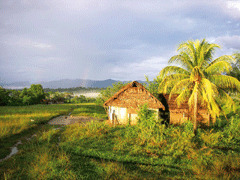 Journey to Puyo, a town on the edge of the Amazonia jungle. On the way you will pass through various tunnels bording the Pastaza canyon, with spectacular waterfalls on your right side. 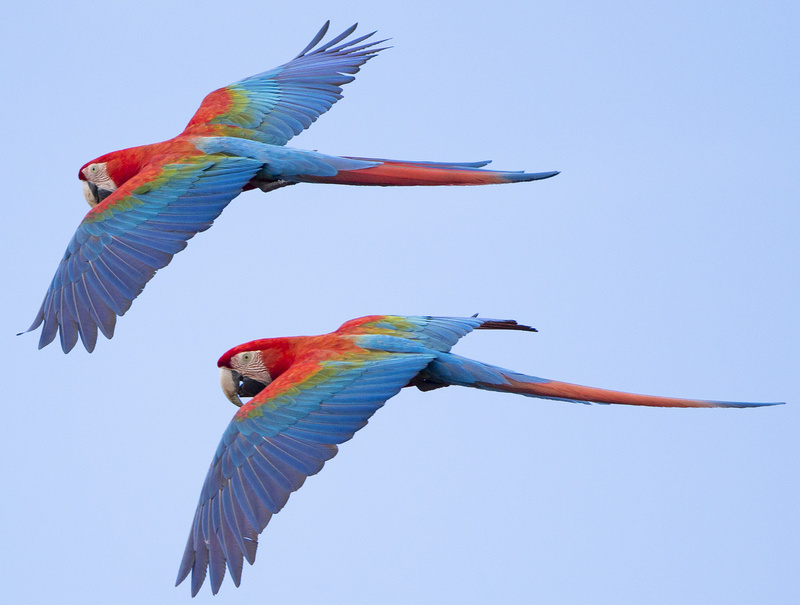 You will go farther to the Amazon doors.